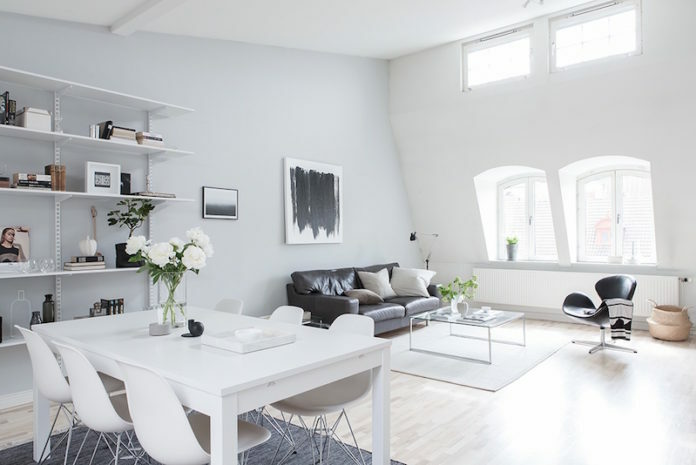 Designed by Ofist, the White House apartment is a real masterpiece of interior design taking the advantages of the shapes available. 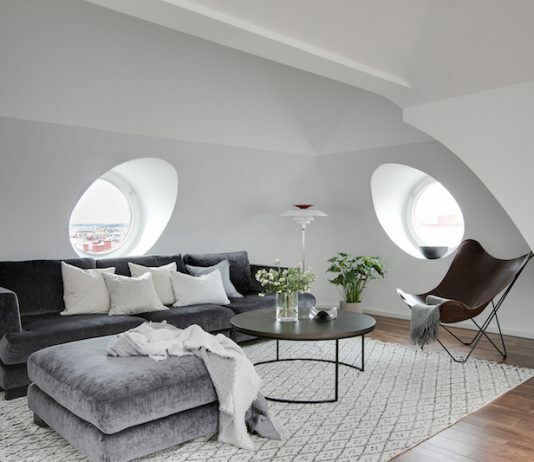 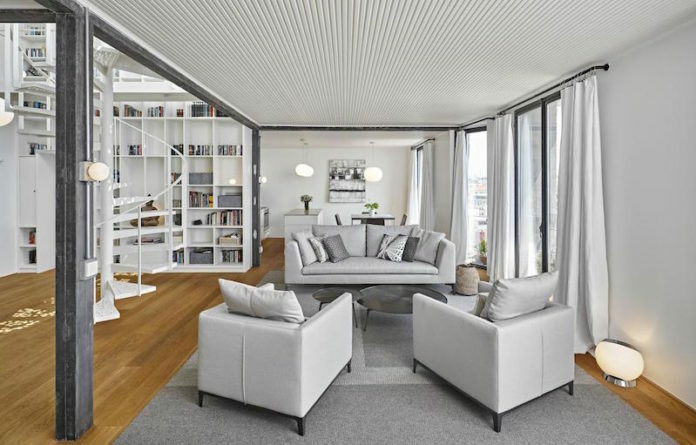 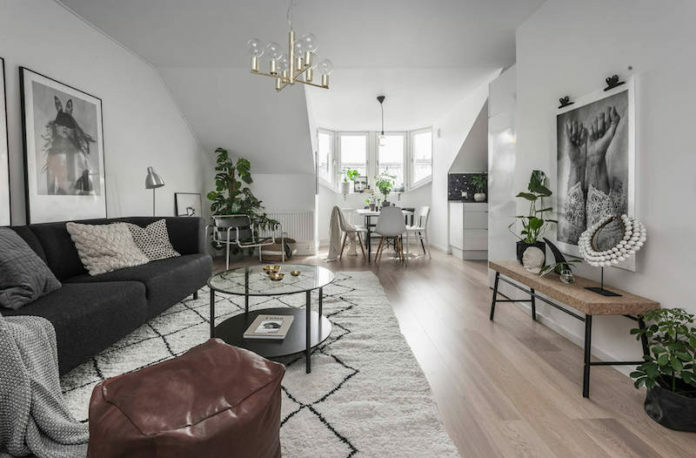 Not only has this amazing small apartment a fresh Scandinavian decor style but it also shows a unique floor plan dividing the 52 sqm. 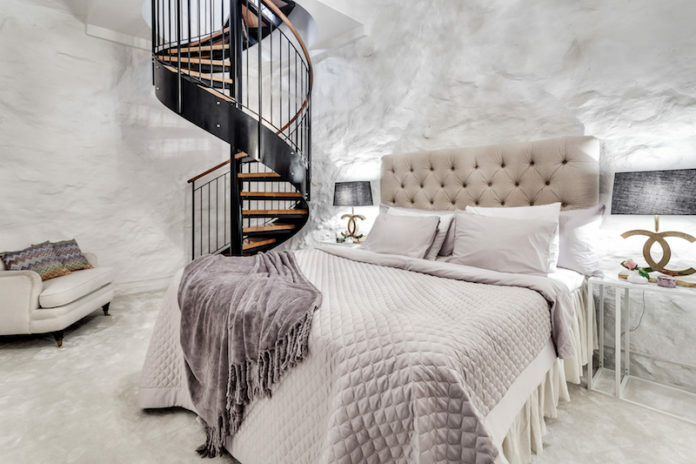 into two floors. 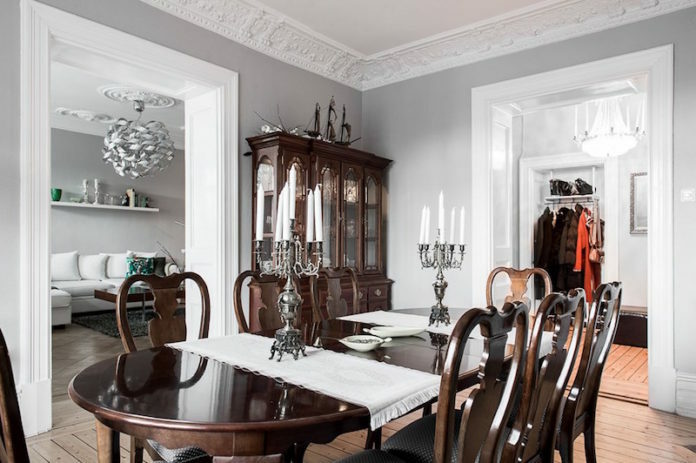 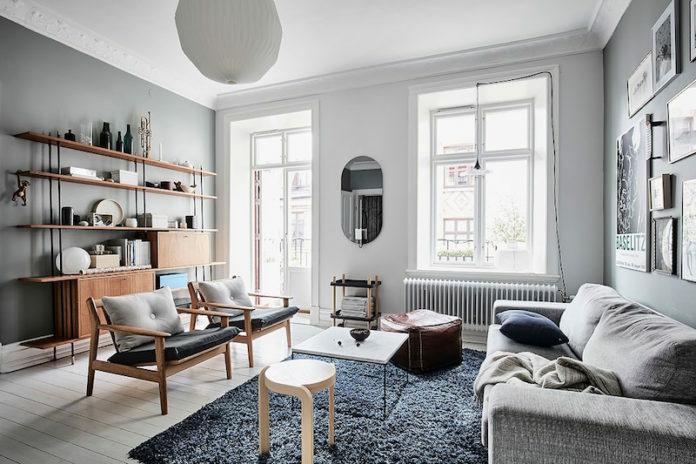 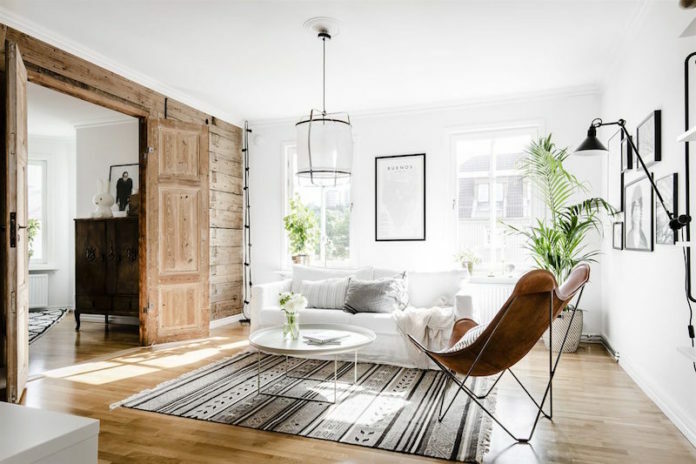 Antique furniture and modern white surfaces give this beautiful Scandinavian its fine and elegant look, yet same time feeling very welcoming and cosy for family living. 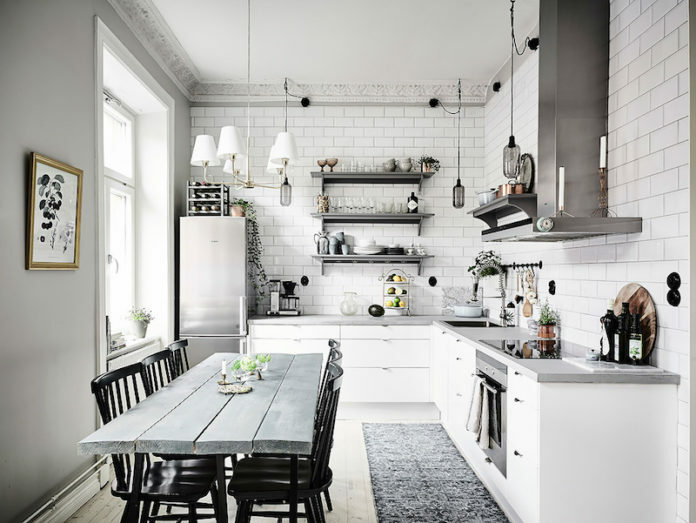 Interesting and personal decor details create a cozy and comfortable atmosphere for this Scandinavian style home apartment in Sweden. 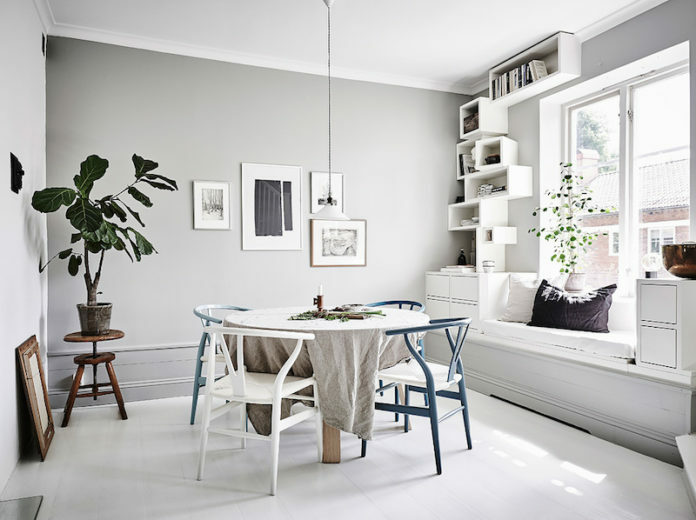 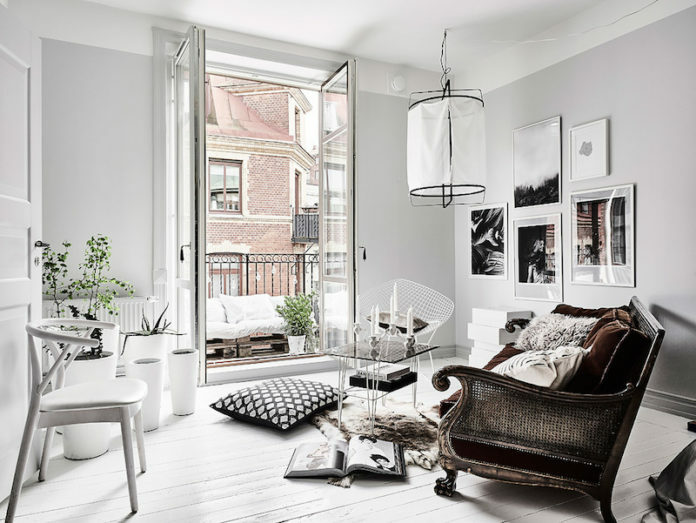 Playing with light grey tones and different materials while adding them into a white dominating home decor, you might end up getting something unique and special. 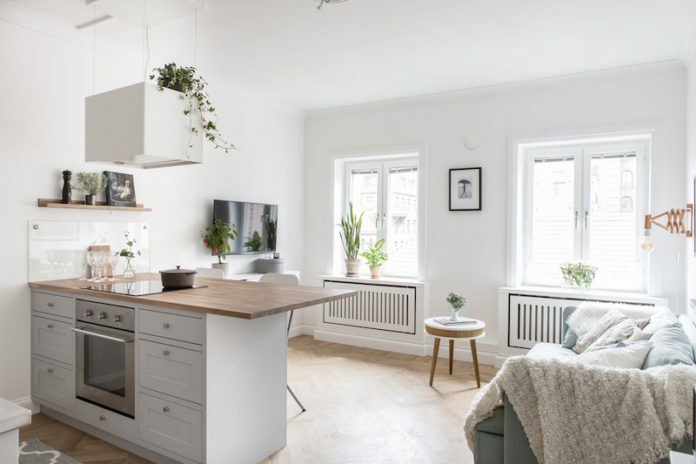 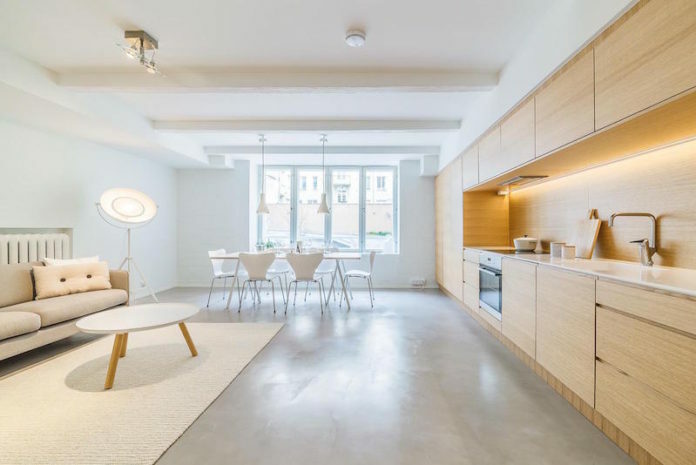 Elegant oak finishes of the wall wide kitchen cabinets give this Scandinavian style studio apartment a warm and welcoming atmosphere. 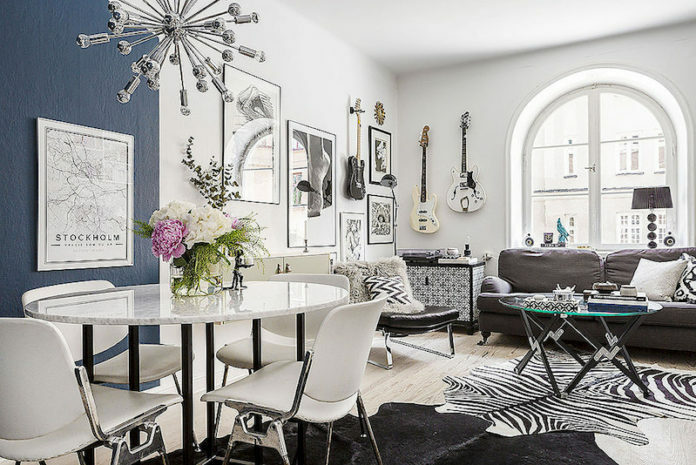 Combination of urban and sophisticated style give this Park Avenue apartment an elegant look and feel, while the fine-tuned detailing creates a luxurious atmosphere. 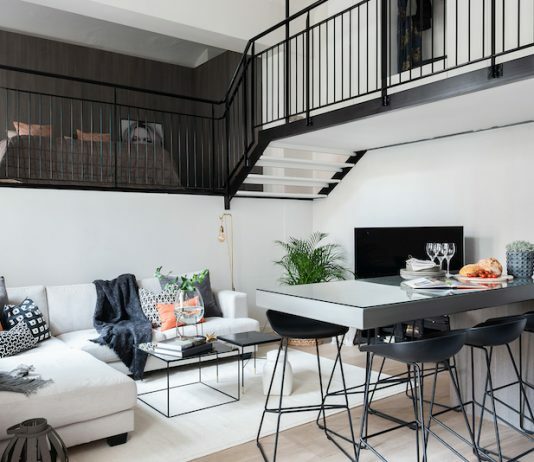 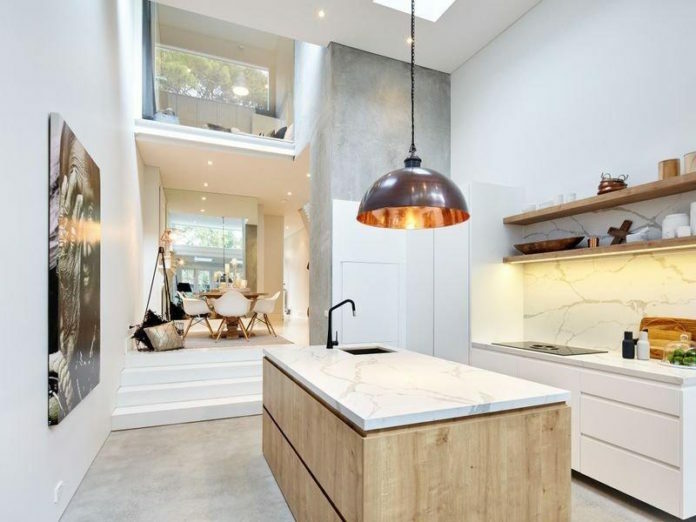 Two storey terrace home combines the rough industrial design and open indoor plan, flooding with lots of natural light. 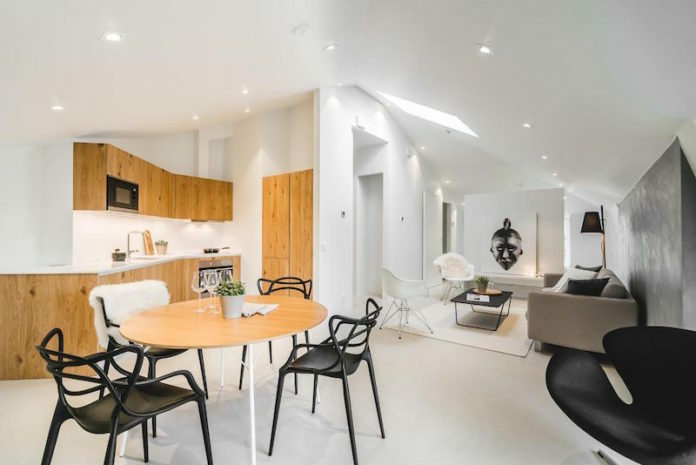 Enjoy the vivid interiors and cosy compact terrace area.